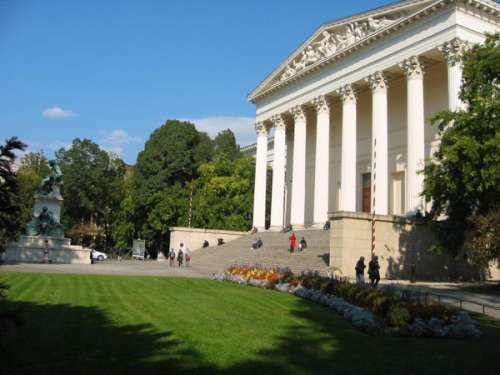 The National Museum was founded in 1802, and owes its existence to Count Ferenc Szechenyi, who donated his collections of books and art to the nation. The building was designed by Mihaly Pollack and completed in 1845. In 1848, it was the scene of a historic event, when Sandor Petőfi recited his poem National Song from the steps, thus igniting the Uprising of 1848–9. The event is re-enacted each year. The museum is the richest source of art and artifacts anywhere in the country. 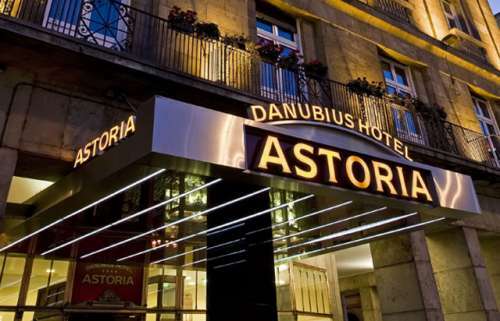 The hotel is situated in the city centre, in the financial and business district, right next to the National Museum. Several cultural and tourist attractions, as well as the main shopping area (Váci street), St. Steven's Basilica, Synagogue are within a few minute walk of the hotel. The most important offices are also easily accessible. 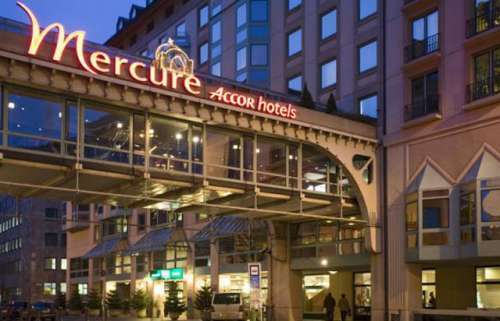 Mercure Budapest Korona is the best located hotel in Budapest. Situated in the heart of the city with beautiful surroundings, at the entrance of the popular pedestrian area: Váci and Ráday street. The River Danube, exclusive shops and famous Gellért baths are within walking distance. Tradition and style in the heart of Budapest. Very popular due to its central location. Enchanting, newly renovated hotel that combines timeless elegance with a full range of up-to-date amenities. The most charming old-style accommodation in the city, and a leading hotel since 1914. You will find the Art Hotel next to the eastern bank of the river Danube, right in the historic center of Budapest. The hotel is located in a newly renovated street with limited traffic and is situated in the lively and vibrant Pest-side of the city. The main attractions are located within walking distance, thanks to the central location of the hotel. 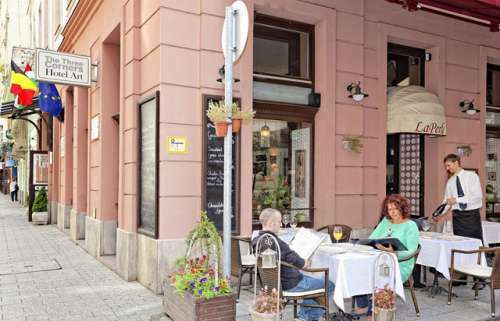 The “Váci utca” is located within only 5 minutes walking distance from the hotel. This is one of the main pedestrian streets and perhaps the most famous street in Budapest. You will find a wide range of restaurants and shops here. One of the most traditional coffee houses of Europe, Gerbaud café, is located on this street as well. Another nearby attraction is the Great Market Hall, also called “Nagy Vasarcsarnok”. This covered market was designed by the famous Gustave Eiffel and is the largest market in Budapest, with 180 stalls spread over 3 floors. A striking architectural feature is the roof of the market hall, which was restored with colorful Zsolnay tiles. 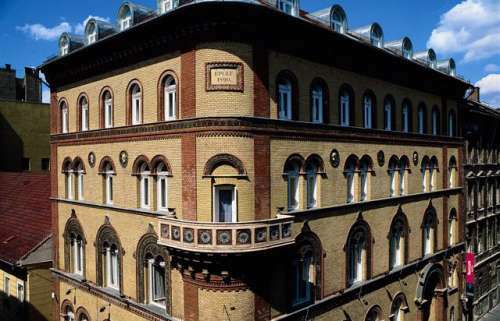 Only 10 minutes away from the hotel, across the Danube, is the Gellért bath located. This is one of the largest spas in Budapest, dating from the early 20th century.